The event was attended by invited guests including West Yorkshire Deputy Lord Lt. Major S. M. Hardy, Major Stephen Boardman, Regimental Administrative Officer of 4 Para and Captain David A. Stracener, United States Naval Attaché to the U.K. together with Dr. Matthew Stroh and David Pearson , Chairman and Vice-President respectively of the Keighley and Worth Valley Railway Preservation Society and working members of the Society. The Herr Jens’s Band provided instrumental accompaniment to the ceremony. 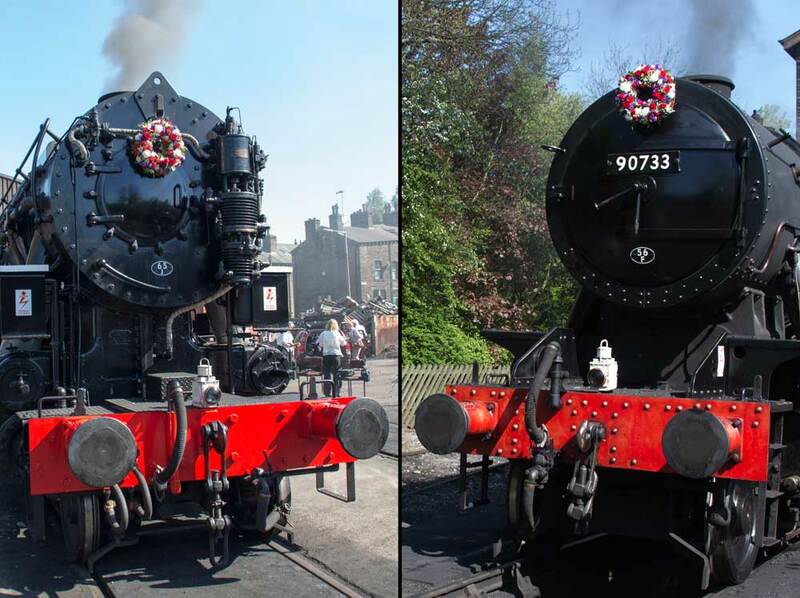 The Liturgy and ‘Blessing’ was given by the Reverend Peter Mayo-Smith, Rector of Haworth and Psalm 121 was read by Andrew Simkins from the Keighley and Worth Valley Railway Preservation Society. be nice to keep the nameplate on i think. Having put out the suggestion on the Staff Facebook Page the concensus seems to be that there is only one memorial engine, the Patriot being built on the Llangollen, so just use the name on appropriate occasions. In addition only one was named, the last Vulcan, so not prototypical to name this.. No doubt the debate will be had at a more official level.